HOLDAT was a movement before it was a Sports Illustrated podcast. 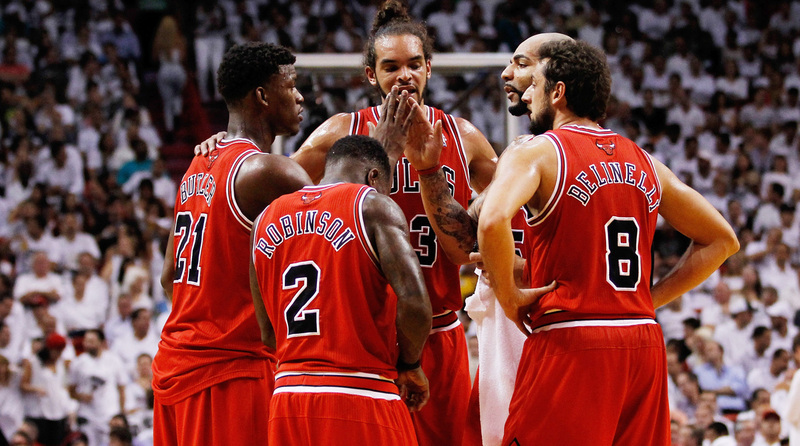 Carlos Boozer and Nate Robinson explain the genesis of the term. Former teammates Carlos Boozer and Nate Robinson have officially launched their new NBA podcast, HOLDAT, with Sports Illustrated. The podcast explores the league from a players' perspective both on and off the floor. Boozer and Robinson teamed up in Chicago during the 2012–13 season, where they had the privilege of playing alongside one of the most animated players in the NBA, Joakim Noah, who helped spark a movement. So what does HOLDAT mean? Boozer and Robinson each explain their first experience with the term HOLDAT. HOLDAT for me came from my boy Sticks, as we call him, Joakim Noah. So we're in a battle with Boston. At the time I think we're like 1 or 2 in the East and Boston was 1, 2, or 3 in the East...We're in Boston, him and Kevin Garnett have their own battles throughout their career. They had a seven-game series, they've had different things they've competed against each other with, so they have an individual matchup. KG being a very good defender, Joakim being a very good defender. They were battling it out, they were both struggling. We go to the fourth quarter, two minutes to go, we're down by two, D. Rose drives to the hoop and kicks it out to Joakim Noah—and if you haven't seen my man's jump shot, it's like a cyclone, that thing be spinning all types of directions—and KG tried to close out on him. Joakim hit the shot, and he screamed out 'HOLDAT!' right in KG's face. Tied the ballgame up, gave us an opportunity to win the game, we ended up winning in overtime. And that's the moment for me when HOLDAT arrived. After that, after every shot I took—after every shot that Nate took, after every shot Joakim, Taj Gibson, Luol Deng, D. Rose, Rip Hamilton, whoever it was—whoever shot the ball from then on, I was screaming out 'HOLDAT' for myself or for my teammates. He went to the line, he knocked down not one but two free throws. And the second free throw he told me to 'HOLDAT!' I didn't understand. He was like, 'Yeah, HOLDAT.' Every time after that, I was like, 'Oh, okay. After a bucket you yell that. That's lit.' So when I got to the Bulls I couldn't wait to scream out HOLDAT with my guys. Subscribe to the HOLDAT podcast via Apple Podcasts, Art19 or Stitcher and check out the first episode next week. And be sure to follow Carlos and Nate Robinson on Instagram.